Many thanks to everyone who came along to listen to the Brass Class concert on 20 July and to eat the delicious cream tea . Hopefully, you enjoyed the solos and the wide variety of band music including well-known pieces such as Mamma Mia, Pirates of the Caribbean and a selection of popular World War II melodies to sing along to. However, as you were listening, you probably noticed that there are different instruments in the band. So, what are they and why are they there? 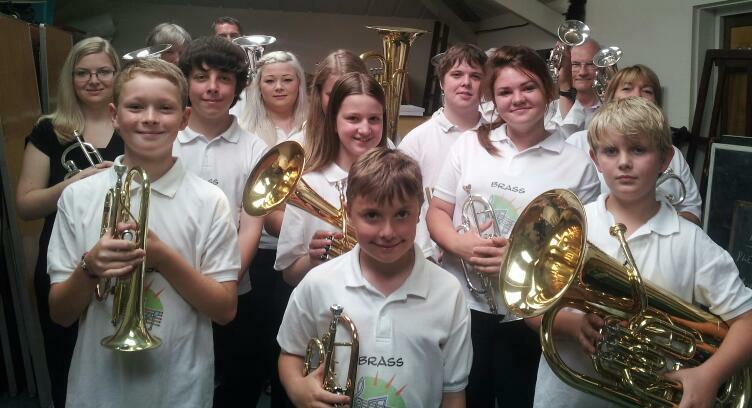 In Brass Class, starting from the smallest to the biggest, the brass instruments are cornets, tenor horns, baritone, euphoniums and bass. Cornets are easy to spot; they’re like mini-trumpets and are held out straight in front of the player. To avoid very achy arms, all the other brass instruments are held upright. Apart from size, what’s the difference between the instruments? The first difference is that the bigger the instrument, the lower the sound. The other difference is that the bigger the instrument, the less chance there is of playing the tune and the more chance there is of playing ‘oompah’ throughout. 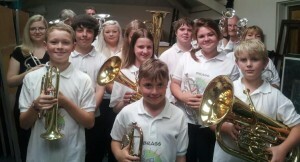 So, why doesn’t everyone want to be a cornet player and play the tune? Well, the trouble with playing the tune is that even the most tone-deaf listener would notice should you hit a duff note in a well-known melody but would anyone really notice should you happen to ‘oom’ when you should be ‘pah-ing’? If you missed the Brass Class concert, then it will be Christmas before you have the next opportunity to hear them perform. However, you can hear the Silver Band at the Connaught Gardens in Sidmouth every Thursday fortnight from July 31 to August 28 at 7.45 and also at their autumn concert on Saturday 4 October. Look out for more details of the October concert in the next issue of The Gazette.